Report by Ramon van Opdorp, all photos by author. These days more and more European countries are flying and operating together. Born out of the need to fly and fight together, and to make this more efficient and useful in practise, the Tactical Leadership Program was initiated in the late 1970s by a memorandum of Belgium, Canada, Germany, the Netherlands, the United Kingdom and the United States of America. 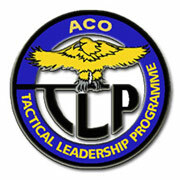 The first TLP course was held at Fürstenfeldbruck AB, Germany in January 1978 and consisted of two weeks of seminars during which the participants discussed tactics and procedures. After 17 courses at the Fürstenfeldbruck AB, the TLP moved to Jever AB, in September 1979. The course program was extended to four weeks to include both a seminar phase and a flying phase. In December of 1988 NATO was forced to relocate the TLP course, because of the increase in the number of sorties and the associated increase in jet noise levels, the intensified low-level flying over Germany, and the planned introduction of the Tornado ECR at Jever AB. Because of its central location in Europe, Florennes air base was selected to host this exercise from March 1989 onwards. Owing to the central location of Florennes, TLP sorties are now flown throughout the UK, the Netherlands, Belgium, Germany, Denmark and France. This provides many advantages, not the least of which is the variety of terrain and targets over which missions can be flown as well as spreading the burden of noise and providing weather alternate routes. The Academic Branch organises a series of academic courses covering subjects such as threat doctrine, aircraft and weapons performance, SAM/AAA capabilities and offensive and defensive air operations. The second branch of the TLP is the Concepts & Doctrine (C & D) Branch. This branch examines the various concepts and doctrines developed by the AIRCENT nations for the use of their tactical air forces. TLP's third branch, and the most visible to the outsiders, is the Flying Branch. Every year, this Branch organises six flying courses, each lasting four weeks. They are designed to improve the tactical leadership skills and flying capability of section leaders. Once a year (usually in November/December), the flying course is organised out of the normal region. It gives the participants the experience of operating over unfamiliar terrain, in different weather conditions and with different operating procedures. The “out of region” exercise has been held in Spain, Italy and southern France in previous years. It allows the use of large amounts of 'free' airspace and excellent wintertime weather, resulting in very successful courses. This year’s fifth edition of the TLP course had some surprising participants, that have not taken part in the TLP in recent years. Two A-10A Warthogs, from the 81 FS Panthers based at Spangdahlem AB, Germany, participated in this years fifth edition of the Tactical Leadership Program. The unusual construction and flying characteristics of the A-10A made it “eye candy”, it's great to capture this one on your viewfinder. Further participating aircraft of this edition included some types which will retire from their squadrons and air forces in 2-3 years. This makes one sad, but delighted as well, when one realises this may have been the last opportunity to photograph them in operational service. The German Phantoms and French Super Etendards are some of the types that are belonging to the “last of the dinosaurs”. Every time you go to visit an edition of the TLP at Florennes, it is a gamble. You never know for sure if you will be able to see the aircraft flying, due to lots of uncontrollable factors around and on the base. However, most of the times the so-called “Academic days”, or better known as the non-flying days, are known in advance to the exercise. Take this in consideration when visiting the exercise. But as already stated earlier lots of missions are cancelled due to radar problems, low visibility and clouds, intensive bird concentration on or around the base or at the exercise grounds. Even when you hear engines starting and think you have been lucky, there is a good chance you can hear the engines begint shut down after half an hour and that's it for the day. On the two days that I visited Florennes AB this year, on Wednesday the 12th of October and Monday the 17th of October, I was lucky enough that on both days all participants did fly. Also the luck of having some great sunny autumn weather, made it possible to make some great shots. The USAF contingent consisted of two A-10A Thunderbolt IIs, six F-15C Eagles and three F-15E Strike Eagles during the first two weeks and first days of the third week. Two Mirage F-1CRs from the ER02.033 Squadron represented the French air force, followed by two Super Etendards from the 17th and 11th Flotille. The German air force was present with five F-4F Phantom IIs from the 71 and 74 JG, while on some days two C-160D Transalls were present supporting the Phantoms. The Italian air force was present with two Tornado IDS aircraft from the 154 Gruppo, followed by two more Tornado ECRs from the 155 Gruppo. Also two Italian AMX aircraft from the 132 Gruppo, participated in the TLP exercise. For the supporting role two C-130Js from the 50 Gruppo visited on the 3rd of October. The Royal Air Force participation consisted of two Tornado GR.4s of 617 Squadron, and two Hawk T.1As which were over at Florennes AB for three days. Finally the NATO E-3A Sentry provided the AWACS support during this TLP. Overall the TLP 2005-5 has been a very successful edition in my opinion. With the participation of A-10s, F-15C/Es, Mirage F1CRs and Super Etendards, mixed with Tornados, AMXs and some local F-16s, the TLP 2005-5 was one for every spotter’s taste. And hopefully we can expect much more of these great mixed participations in these exercises.